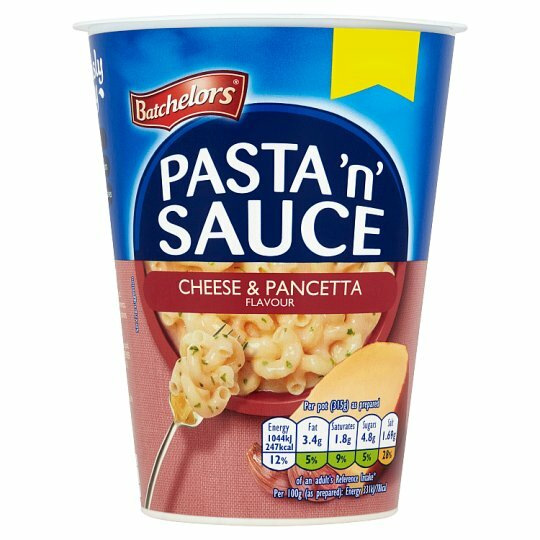 Dried pasta spirals in a smoky cheese and pancetta flavour sauce mix. 3 Stir. Reapply lid. Wait 3 more minutes, enjoy!